When it came time for Buick to redesign its signature Regal sedan, the automaker decided to stray from a traditional sedan body style for the vehicle. Instead, Buick introduced two new versions of the Regal for the 2018 model year: the 2018 Buick Regal Sportback, a hatchback model, and the 2018 Buick Regal TourX, a station wagon variant. As hatchbacks and station wagons are very different types of vehicles, it should come as no shock that the two brand-new Regal variants differ in many major ways. 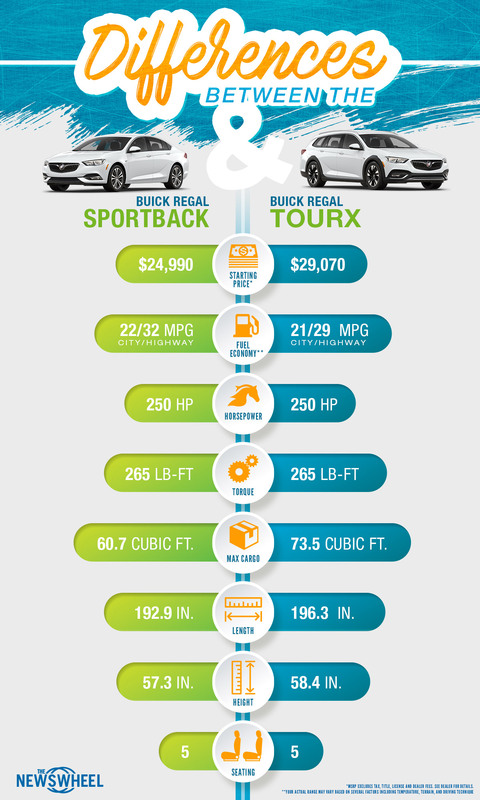 The following infographic explores those differences with a closer look at the Buick Regal Sportback and Buick Regal TourX.